A study following more than 1,800 children from ages 6 months to nearly 8 years found a small but consistent association between increased television viewing and shorter sleep duration. The presence of a television in the room where a child sleeps also was associated with less sleep, particularly in minority children. Investigators from MassGeneral Hospital for Children (MGHfC) and Harvard School of Public Health (HSPH) report their results - the first to examine the connection between television and sleep duration over several years - in the May issue of Pediatrics. The study participants, children and their mothers, were enrolled in Project Viva, a long-term investigation of the health effects of several factors during pregnancy and after birth. 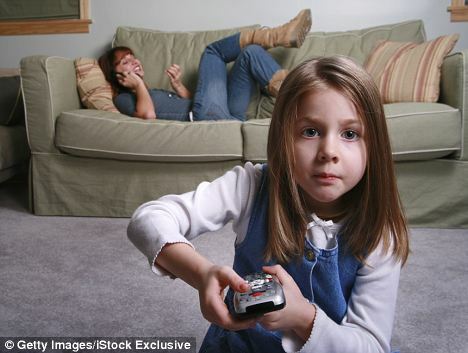 This study analyzed information - reported by mothers when the children were around 6 months old and then annually for the next seven years - regarding how much time each day infants were in a room where a television was on, how much time older children watched television daily, whether children ages 4 to 7 slept in a room where a TV was present and their child’s average daily amount of sleep. Elizabeth Cespedes, SM, of the HSPH Department of Nutrition is lead author of the Pediatrics report; and Elsie Taveras, MD, MPH, chief of General Pediatrics at MGHfC is senior author. Additional co-authors are Matthew Gillman, MD, SM, Ken Kleinman, ScD, and Sheryl Rifas-Shiman, MPH, Department of Population Medicine, Harvard Medical School; and Susan Redline, MD, MPH, Brigham and Women’s Hospital. Project Viva is supported by the National Institutes of Health and the Centers for Disease Control and Prevention. Harvard School of Public Health brings together dedicated experts from many disciplines to educate new generations of global health leaders and produce powerful ideas that improve the lives and health of people everywhere. As a community of leading scientists, educators, and students, we work together to take innovative ideas from the laboratory and the classroom to people’s lives - not only making scientific breakthroughs, but also working to change individual behaviors, public policies, and health care practices. Each year, more than 400 faculty members at HSPH teach 1,000-plus full-time students from around the world and train thousands more through online and executive education courses. Founded in 1913 as the Harvard-MIT School of Health Officers, the School is recognized as America’s oldest professional training program in public health.